Hello lovely people! I'm Sara from over at Sara Louisa, a lifestyle blog through which I aim to promote positivity and share some real life experiences. I'm so grateful to Kimberley for the opportunity to write for her blog, and I really look forward to hearing what you think of the post! Make sure you leave a commend below, and visit her Sara Louisa! 9. What the HECK why did we just get pranked at our first lecture?! I’m so confused, is uni always like this??? 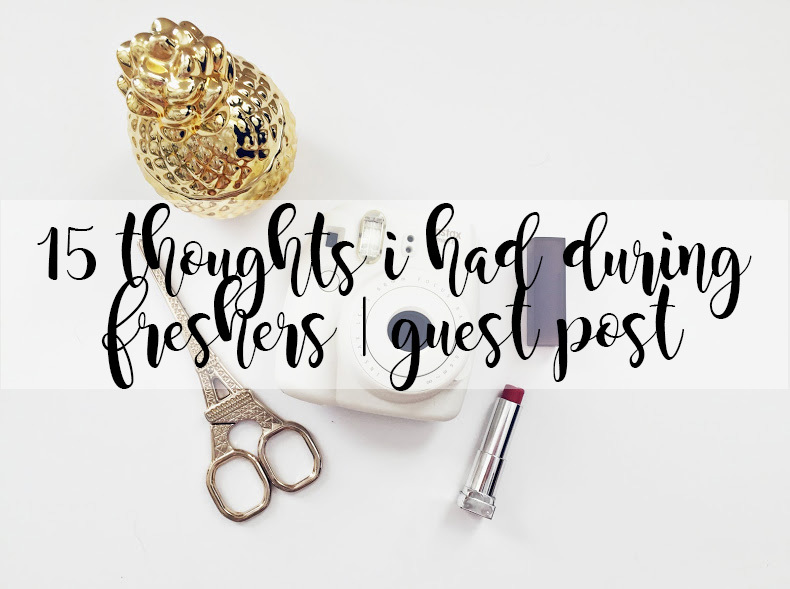 How did you all find freshers this year? Let us know! Head over to Sara's blog, leave a cheeky comment and follow her on Twitter!